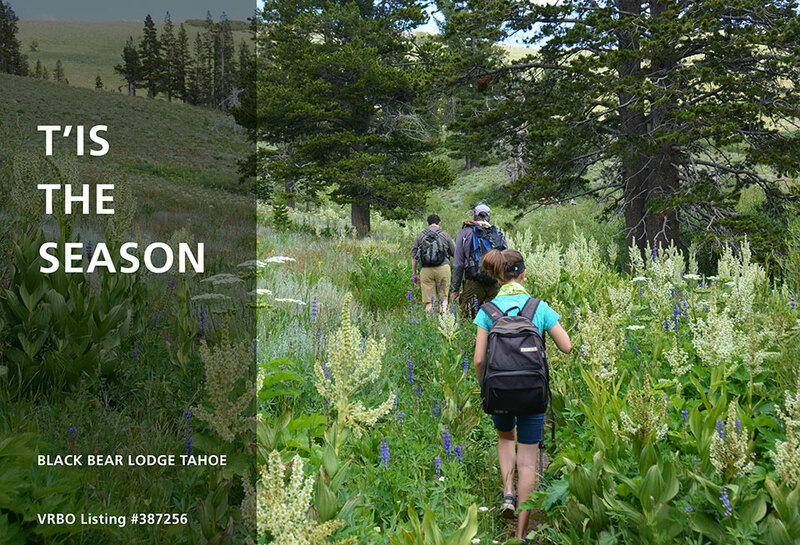 July « 2015 « Welcome to Tahoe's Black Bear Lodge! 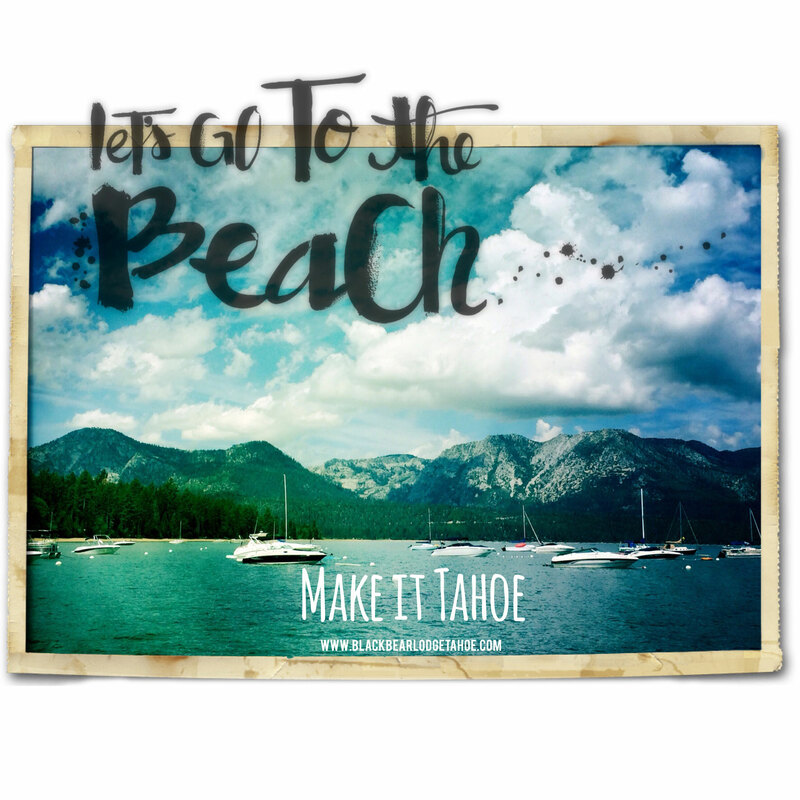 Make Tahoe your vacation getaway. Fresh air, cozy bed. Taking reservations for August and September. Summer is half over….. More information at http://www.vrbo.com, listing 387256. Above Schneider Cow Camp on the way to Showers Lake. 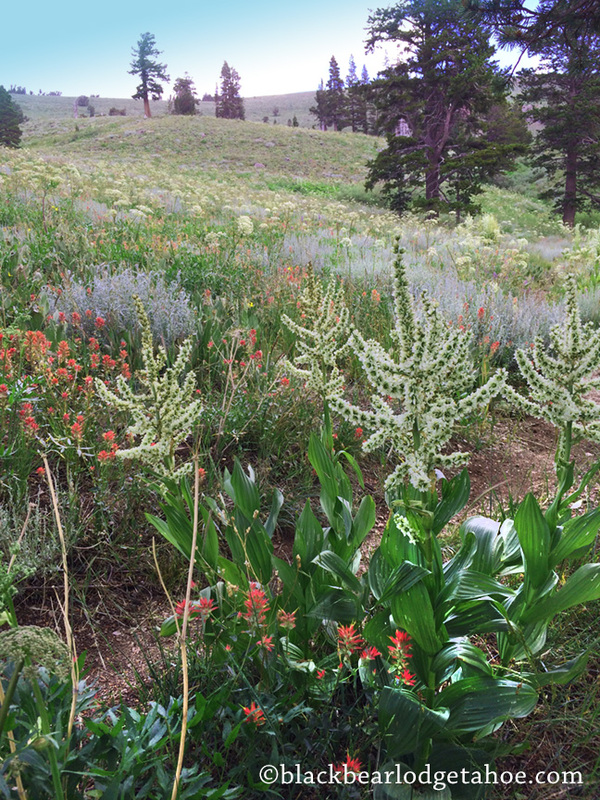 Get directions in the Alpine Sierra Trailblazer guidebook. Come visit before it’s too late. 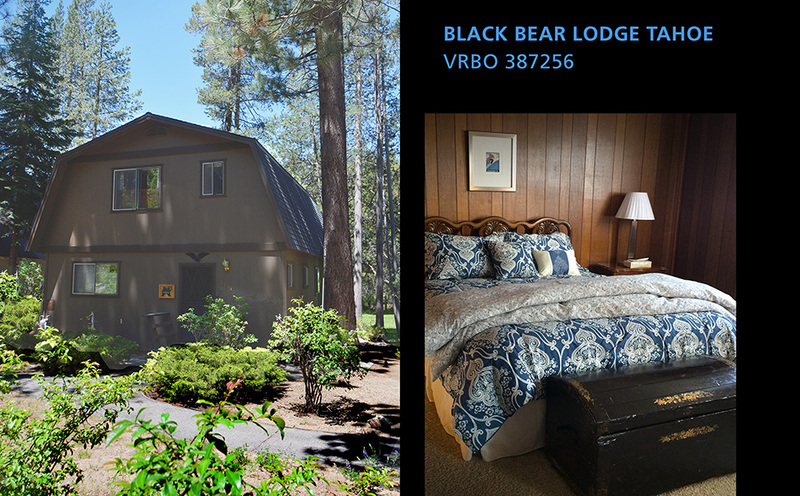 Black Bear has availability in August. Fresh air, blue water await! Take some lazy days in Tahoe. 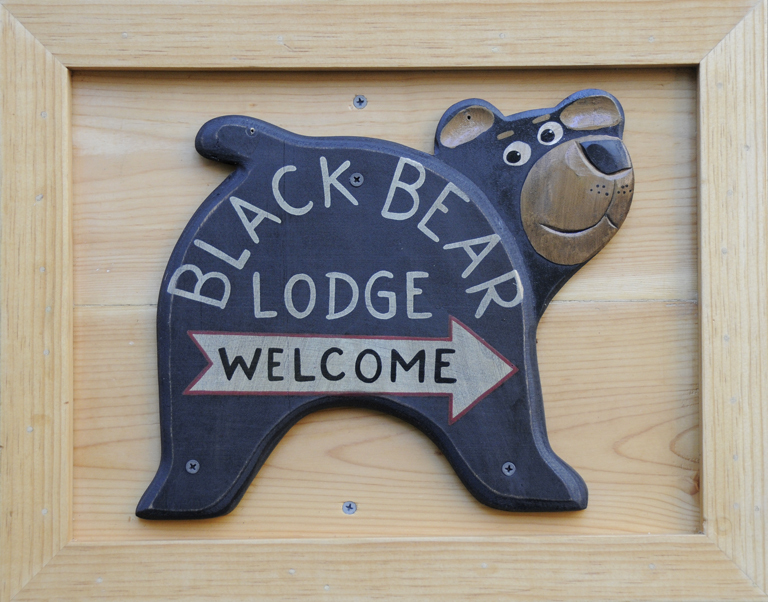 Black Bear is anxious to host you. It’s “over the moon” beautiful here. 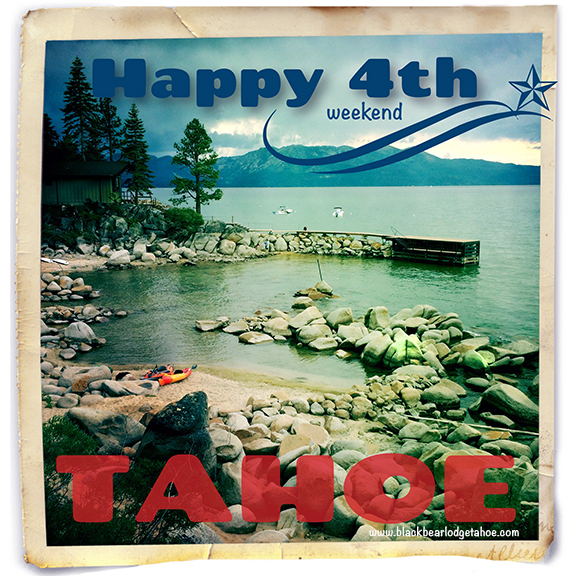 Only 5 minutes from the launch area at Tahoe Keys Marina. 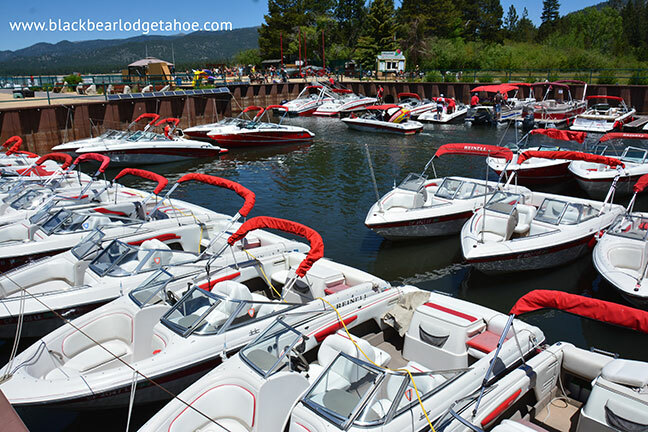 Or rent a boat near the Tahoe Queen entrance near Ski Run Boulevard, plenty to choose from. There’s nothing like seeing the lake by boat. Suggestion: Emerald Bay and Vikingsholm a splash away and oh so scenic. Take a picnic. 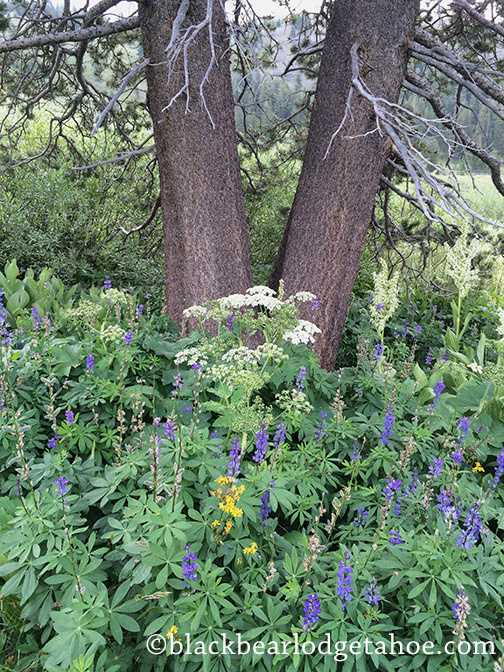 Along the Upper Truckee River (a short walk away from BBLT) banks the wildflowers are ablaze in color. 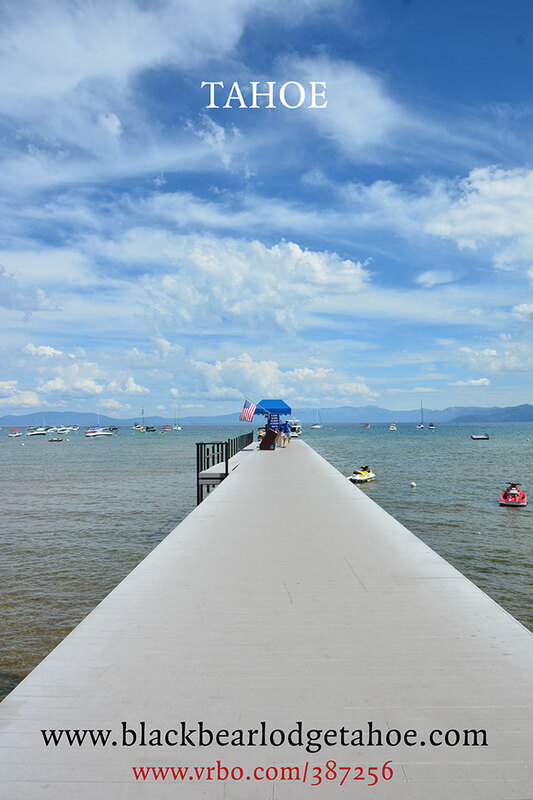 As it empties into Lake Tahoe (pictured), the shores are perfect for wading, birdwatching, contemplating the lazy river flow. A sandy beach is located at the end of Sky Meadows, less than 5 minutes away from our deck. 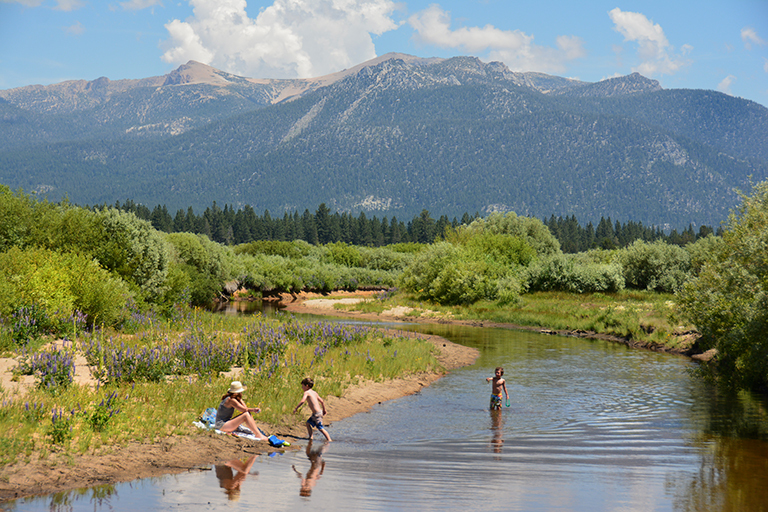 Bike or drive to Tahoe Keys where a new walking trail takes you to lakeshore swimming or picnicking. Don’t miss the show, it’s all happening right now. Summer is in full swing. Happy 4th of July! Lake Tahoe delivers. Though occasional thundershowers yesterday, parking lots were overflowing, beaches were filled with colorful umbrellas and water toys were bobbing along the shore. American flags adorned bikinis, hats, and waved from truckbeds. This is the place families have been coming to for decades, one of the best holiday destinations in California. 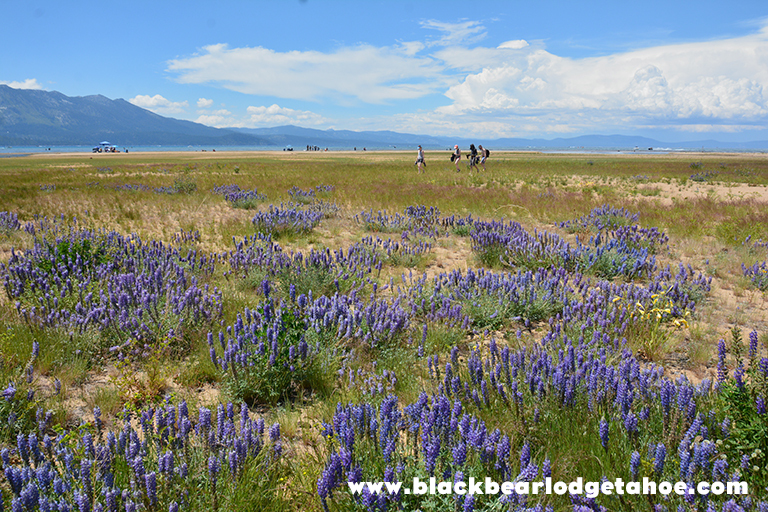 The Black Bear is taking reservatons for August. Don’t miss out!